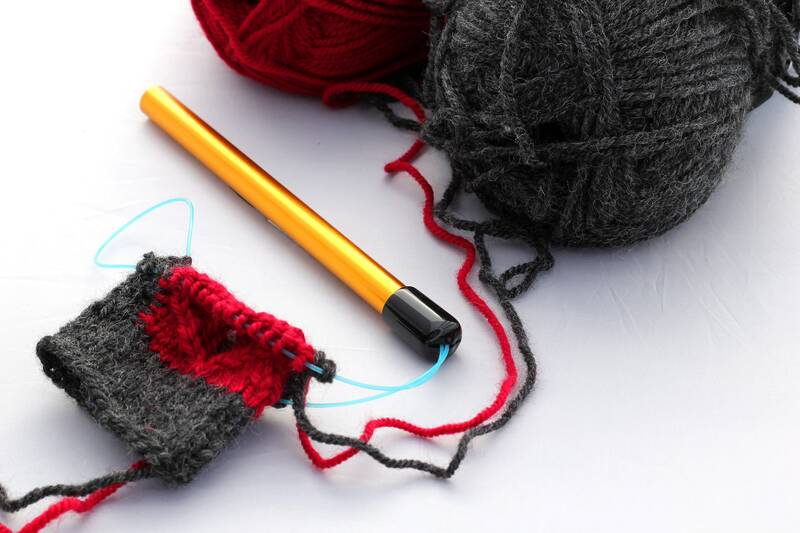 The Exclusive, innovative product to protect your knitting needles while your work is in progress! This is set of 4 Needle Keeper-DB's (double-capped) in warm Autumn colors of Red, Orange, Bronze & Gold. Save 15% bought in the set! (While the photo shows SG (single-capped) THIS listing is for DB's (double-capped). Each and every one is hand made in the USA, here in my husband's work studio, individually by his hands, with detailed, meticulous quality. A Needle Keeper is precisioned to hold needles as thin as US #00 / 1.75mm and up to two size US #9 / 5.5mm (both needles). NK-SG’s (single) have ONE cap (with slit), while NK-DB’s (double) have a cap (with slit) on both ends. If you want to protect larger needles, use two, one Needle Keeper-SG per needle. Or... Jumbo Keepers (NK-XL’s) are in the works...stay tuned! EXTREMELY LIGHTWEIGHT, practically indestructible T6 Aircraft-hardened aluminum; pliable, sure-grip silicone cap cannot wiggle off, assuring years of continued use; hand-sanded individually for absolutely no sharp edges to damage needles or you! 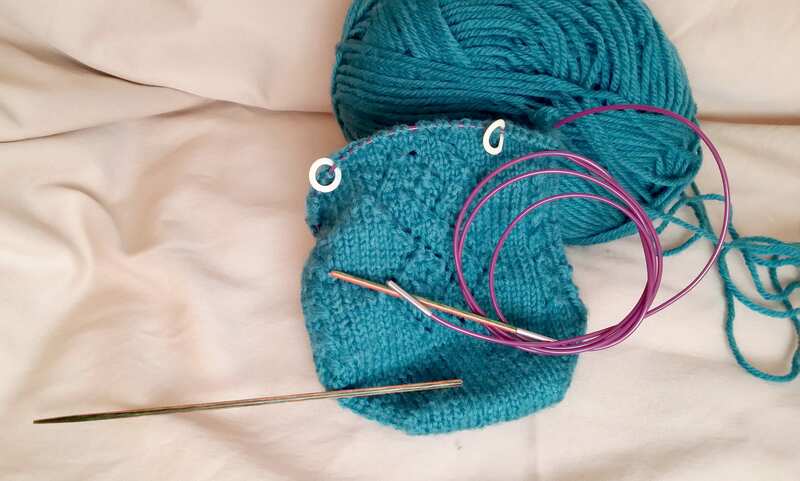 I invented this item because I was knitting socks on size #0 wood needles and broke a few needles in the process as I stored the socks in my knitting bag. Taking my project in and out of my bag, putting them away quickly when I had to stop knitting, always had me worried. And sure enough, one day I took them out to knit, and one needle was broken. The Needle Keeper not only protects your needles, but they also hold the LIVE STITCHES on your needles, protects the JOINTS of your needles (where the cable meets the shaft), protects the MATERIALS IN YOUR BAG, and the BAG itself. You can feel free to shove your knitting and needles into your bag with no worry! 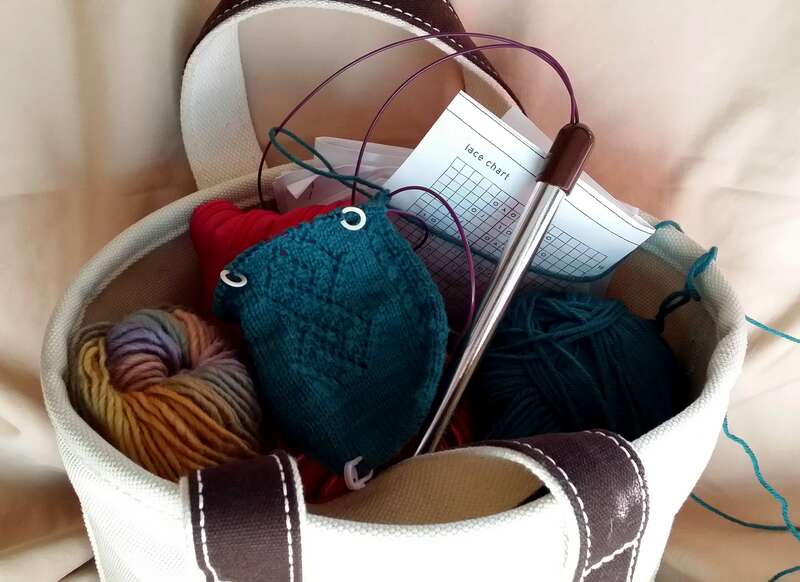 Safely carry your knitting wherever you go: on the commuter bus; at the doctor's office; during lunch; on a road trip; in your back pack; to and from class. Use them on each knitting project you have WIP (work in progress). Within 3 seconds of stopping knitting your needles and knitting are protected and you can quickly shove everything into your bag and move on with no worries! You will want ONE IN EACH COLOR for all your Works-in-Progress. 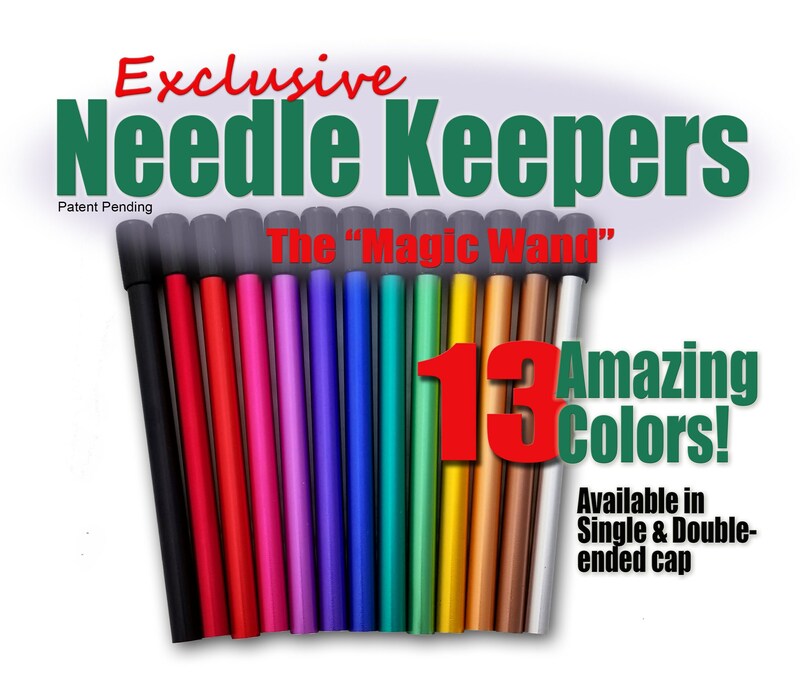 With the variety of colors, you can quickly glance into your knitting bag and see which Needle Keeper is protecting which project. The bright colors show so well against whichever color yarn you are knitting with, you can grab just the right project with no worries about dropping your stitches. Simply slide your needles into the black end...that's it! Needles WILL NOT come out until you take them out. Will not slip, slide, wiggle or otherwise get loose. Will not bend, break, nor get damaged. Your needles won't snag nor get tangled up on what else is in your bag. I can't show you here, but you can even SHAKE your needles by their cable and the Needle Keeper and your needles are not going anywhere! Total peace of mind. There are no sharp edges to snag your yarn, fingers nor anything else. I am a knitter, and I am very cautious about this. They are professionally smooth finished. There is only a cap on one end, as that's all that's needed. Another would just cost us both more and be extraneous. We ship to a few countries outside the USA. If you don't see your country listed, please ask, we may be able to accommodate shipping to you. IMPORTANT! If you do not purchase shipping insurance we cannot be liable for packages which get lost in the mail. Every package we ship includes tracking so you can see it travel toward you, but does NOT include insurance by default. As unfortunate as it is, I do not do the delivering, I trust the postal service to do their best. Once it leaves my hands and/or the USA I have no control over how your Postal System handles packages. If your package gets unrecoverably lost, I will work with you to get you another order at a reasonable expense to both of us. I respectfully ask you to acknowledge a lost package is not my fault. Thank you sincerely.